Now, imagine if one of the precision speed and steering controls was a little off sync. Or, if a driver in one of those trucks decided he'd rather race ahead to get home before rush hour. Bye bye Van Damme. It wouldn't be so much of an epic split as much as an epic FAIL. 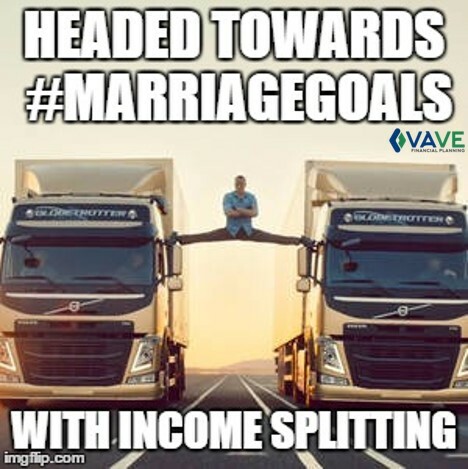 If you have a spouse (aka, you're married) you'll want to consider the synchronized driving style of these trucks as it pertains to tax savings via income splitting. In Canada, married couples have the opportunity for various income splitting strategies. The idea is to minimize taxes your family pays by moving income from one spouse (who is at a higher tax rate) to the other spouse (who is at a lower rate). Be aware that there are special attribution rules in Canada that prevent you from simply gifting money to your spouse to invest. Stay off the auditor's naughty list by using some of these strategies instead. With the future in mind, these tools can help you achieve success as epic as Jean-Claude's split. A Spousal RRSP can be used to even out future income. A higher income earner can invest in a Spousal RRSP for their spouse. The higher income earner gets the tax deduction (at a higher marginal tax rate), while the lower income earner can withdraw the funds in the future and get taxed at a lower rate. 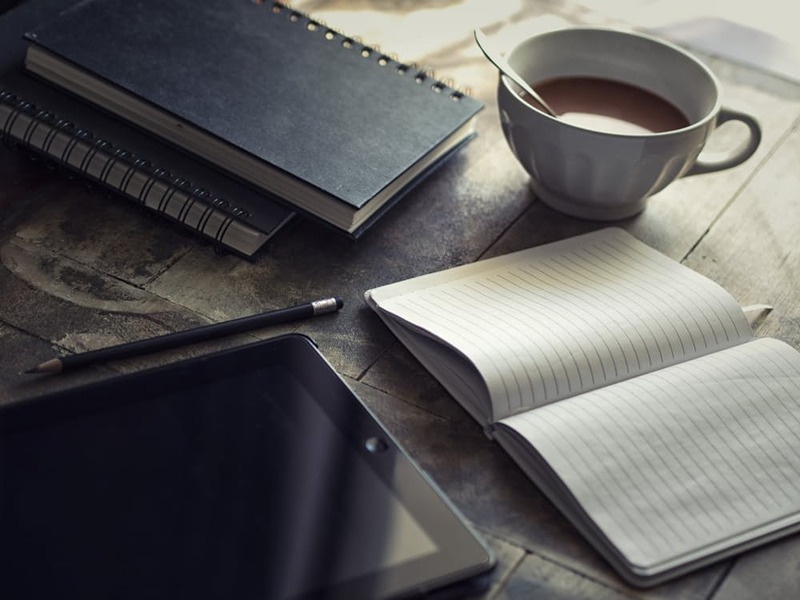 Most people use a Spousal RRSP with the eye on investing and saving for retirement but there are also opportunities to use this program to help fund lower income years such as a maternity leave, a sabbatical, or if the spouse starts their own business. Be careful, as there is a 3 year wait else attribution rules will apply (The withdrawal will get taxed back to the originator). There are no attribution laws against investing in your spouse's TFSA. If the lower income earner has space, the higher income earner can invest within the lower income earner's TFSA. Currently, the maximum limit is $57,500 per person (2018). The higher income earner can loan his spouse money to invest at the prescribed government rate of 1%. Although the higher income earner has to add the interest that he/she is getting from the spouse to his/her taxable income, the spouse can invest and hopefully earn greater than 1% while paying taxes on capital gains, interest, and dividends at a lower rate. By Gift: Give investments to your minor children. Future capital gains will be taxed in the children's hands. Interest and dividends will still be attributed back (taxed back) to the parent though. Note that second generation money (interest on the interest) will not be attributed back. If your children are adults, consider gifting them money so they can max out their TFSAs or invest in RRSPs. By investing their Canada Child Benefit: Invest the Canada Child Benefit in your child's name. Your child will be responsible for any investment taxes but since they are likely under the personal exemption, there will not be any taxes. Through RESPs: Registered Education Savings Plan is a way to help pay for a child's education. Aside from the benefit of getting the CESG (Canadian Education Savings Grant), future growth will be taxed in the student's name rather than at the parent's higher tax rate. In retirement, if one person receives a pension, he/she can allocate up to half the amount to their spouse. This can spread out the payment and result in lowered household income taxes. In addition, both spouses will be eligible to claim the pension income credit ($2,000 per person). There are also opportunities so split RRSP/RRIF withdrawals and even CPP payments. This could free up money for the lower income earner to invest at a lower tax rate. The household will then pay less tax on capital gains, interest and dividends. Ideally, when you are retired, both your taxable income should be at a similar level as opposed to having one spouse at a really high tax bracket with the other spouse at a low to moderate tax bracket. Because of the difference in marginal tax rates, this can save your household thousands of dollars a year. Both trucks should be the same size: Ideally, by the time of retirement, both spouses should be drawing out similar sized incomes so that neither spouse is over-paying in taxes. Both trucks are traveling in the same direction: When we're talking about finances, we hope the direction of travel is UP. Both spouses should agree to make careful spending, investing, and tax planning a priority. Both trucks are also traveling at the same speed: Because investments naturally fluctuate over time, it's important to re-balance your portfolios so that the overall allocation of assets remains relatively constant. Investing wisely, prioritizing together as a family, and implementing some of the income-splitting strategies can help build up your retirement funds efficiently. If you want to learn more about how these tools can work for you, contact me at nhui@vavefinancial.com.